Hi, Curvists! I really need to update you all on what’s going on! There was no episode last week. (Eek!!) Well, there was a reason for that named Hurricane Matthew. So, I wanted to share with you all what is going on and what is coming up, including a new direction I am taking the podcast in. So, I’m excited to get into it!! I am working to reschedule with Jared Easely, founder of the Podcast Movement annual conferences and something called the Podcast Cruise, which I have no idea what it is, but it sounds amazing, and I can’t wait to talk to him. I know a lot of you were particularly excited for that episode. We were supposed to record just before his podcast MeetUp of the Podcast South Florida a couple of Saturdays ago on the 8th. But, the venue had to cancel the event, due to the hurricane. So, that of course meant my podcast with him that was supposed to happen right beforehand has to now be rescheduled. So, we are working that out. Local small biz and digital marketing powerhouse, Kate Volman was to be on as well. She’s a content creator and web show host who is on her way to taking over south Florida. She helps businesses share their stories as part of their marketing efforts, is super smart, and a lot of fun. But, we are having to reschedule, again because of things being just thrown off course, lol. So, because of recent events, I wanted to share with you a lesson I have learned about keeping my priorities in check. I am a big-time planner. 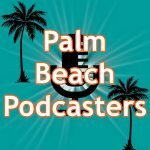 Between my marketing company and clients and growing that, this podcast, my Podcast Network and sister shows, and the Palm Beach Podcasters, my to do list is gargantuan. So, I HAVE to be a big-time planner and schedule as much as possible weeks in advance. For the most part, this is a one-woman show. So, if I don’t do it, it doesn’t get done. I’m currently considering ways of reducing that workload, but that’s for a whole other conversation. AND, I’m (most importantly, and as many of you know) also a single mom to a beautiful 4&1/2 year-old little boy, Jordon–my angel and whole heart. So, as you can imagine, he comes first, everything else comes second, friends and family get peppered throughout as much as I can, and then my needs usually come last. My plate is simply crazy-full! I had already put on pause pretty much all of my duties as the social media person behind the KVJ Show’s fan accounts, KVJNation, because something had to give. I mean, that should tell you right there the fullness of my plate right now, if I’ve temporarily set aside something that I love that much. So, my cup already runneth over, and my body was suffering the consequences. Lack of sleep and healthier eating coupled with more stressors than I could speak of (all good things, but come on, let’s get real, still stressful, right? ), September turned into the Month of the Migraine, with my having more days WITH these debilitating headaches than not. In fact, at one point, I was in the fetal position for about a day and a half. It was awful. After getting myself and my clients hurricane-ready, I still had so much more on my plate–even more than usual because of the total disruption that is a major hurricane. I had a choice to make, a fork in the road, so to speak. Have a complete panic-induced meltdown, or just accept it for the opportunity it was: the chance to relax. Sometimes in the hustle and bustle of the hustle itself, we get so caught in the momentum–especially when great things are happening, that we lose sight of the bigger picture. We pursue our dreams, ultimately, in the pursuit of happiness, right? Well, if my body is screaming at me that it needs rest, and that message is being delivered in the form of relentless migraines, mama is NOT happy. I looked around my room. With plywood covering the windows for the hurricane, it was like a cave–a perfect little recuperative nest free of light. So, once it was clear we had been spared by Matthew (thank GOD!! ), I had Jordon spend a couple of days with his dad, so I could spend a couple of days under covers with an ice pack on my neck to knock out my migraine once and for all. I succumbed, and it was definitely the right decision. Not only did I reenergize, but it gave me a chance to step back and see the forest–not just the trees I was usually caught up in. I thought through how to move forward while making my rest more of a priority. So, I’ve taken some time to concentrate now on just finishing getting EHAH, a new podcast project off the ground. It’s something some friends of mine and I have just recently launched where we talk about putting tech into our community and the community into our tech. But, getting it rolling has been a massive responsibility. And, being able to focus on finishing that rollout now while taking advantage of this gap in Curve the Cube, has taken a load of the pressure off! So, if you like tech talk, please had to EggHeadsAHP.com and subscribe to us in iTunes. In fact, the aforementioned Kate Volman is one of my Egg Head cohosts. So, that podcast can give you an intro into my upcoming Curve the Cube episode with her! I have also made a decision with CTC that I hope you will all find interesting and appealing. 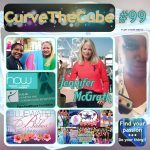 I have decided to spend more episodes doing exactly what I’m doing now–sharing my own Curve the Cube journey. 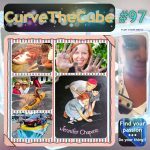 Since this podcast started as being all about inspiring people to pursue their dreams by talking to other people who are doing just that and has sprouted a shunt to this parallel story of me curving my own cube, I decided to start doing just what I’m doing here: sharing more of my own journey to curving my own cube. In episode 93, my amazing compadres, Scotty Fusion and Jessica Prestige, helped by cohosting and asking me a bunch of questions from themselves and some listeners. And, I think I caught a bug for it in that episode and really just want more personal interaction and conversation with you guys, my fellow Curvists, about what it is to pursue your dreams–stuff my guests have taught me about that pursuit and what I’ve been learning here as I navigate my own. But, have no fear! I am continuing to bring you great traditional CTC content, and once episodes start back up in the next week or two, I’ll be back to posting episodes every week! In addition to the rescheduled guests, I also have other super inspiring people lined up to motivate you to find your passion and do your thing, too! If you’re anywhere NEAR as big of a fan as I am of my FAVORITE movie of all time, The Neverending Story, then you will LOVE hearing me chat with Tami. I mean, it’s not everyday you get to talk to a childlike empress! And, to add one more to the list, I am waiting on confirmation back from a very, let’s just say, special kind of matchmaker. I can’t say her name, yet, because she is waiting for approval back from her manager. But, she thinks it’s likely; so, keep your fingers crossed!! I am also in very early talks to get a sitdown with aerial reporter, Johann Hoffend of WPTV’s Chopper 5, and Jerry Soma, who puts on the Feast of Little Italy every year, no small task!! In the meantime, shuffle back through the old episodes. I know some of you have missed some great guests! All of the other Egg Heads (Eddy Garcia, Aaron Wormus, and Joe Russo, have all been featured previously on Curve the Cube. I’ve had conversations with former pro-wrestler Glenn Ruth aka Thrasher of the Headbangers, actors from the Blacklist and Bloodline, the president of Nerdist Industries, hosts of the KVJ Show, Representative Lois Frankle,… I mean, just some really, really fascinating people! I’ve had lots of other greatly inspirational Curvists on, too–from musicians to artists, entrepreneurs to writers, and so much more in between!! And, I’ve had really meaningful conversations with people like my friend, Drew, who shared his very personal story of gender reassignment, and my friend, Sharif, who shared insights into his Islamic faith. And, of course, I CAN’T forget my Pod Squad with regular co-hosts, Jay Cintron and Scotty Fusion. We talk about all sorts of funny stuff, and you can find those episodes organized for you right on CTCPodSquad.com. Remember to keep pursuing your own dreams. Do not give up or get discouraged. Dig in, work hard, but, don’t miss the forest for the trees. Find Your Passion… Do Your Thing! !